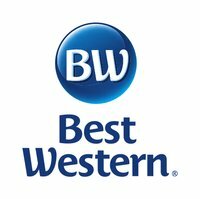 Located along I-88, the Best Western Naperville Inn is close to a number of area businesses such as Navistar and Lucent Technologies. Ideal for businesses and leisure travelers alike, the property is revered for excellent customer service and competitive rates. As a pet-friendly hotel, key rooms are reserved exclusively for guests traveling with the whole family. However, if you prefer a pet-free stay, the majority of guestrooms maintain a no-pets policy, providing guests the best of both worlds. Spacious rooms with free high-speed Internet and cable television complete with HBO make every guest feel right at home. With a stay at the Best Western Naperville you’ll be conveniently located near the Premium Outlet Mall, Morton Arboretum, Corporate locations such as Infosys, Alcatel Lucent, Molex and many many others. We are located conveniently on the Lisle/Naperville Corporate Parks boarder. We are also located in an area that has many top restaurants only minutes away. Featured amenities include a business center, complimentary faxes (sending and receiving) express check-out, Planning a deposition? book club meeting? small class? Off work site meeting? Interviews away from the office? We have a Board room that comfortable fits 10 people around the table. Take advantage of the impressive exercise facility that offers the latest cardio and weight equipment. A complementary dry sauna is the perfect place to relax before the next sightseeing venture or business meeting. When it comes to corporate travel, guests have full access to an on-site meeting room with high-tech audio-visual equipment and ample free parking. With blocked rooms available, accommodating groups is easy.